Tuck had 12 points (5-10 FG, 0-1 3PT, 2-2 FT) and two rebounds in Tuesday's win over Dallas. The former UConn standout was one of three Connecticut bench players in double-figures Tuesday, as the Sun cruised to a 20-point victory. On the year, Tuck is averaging 5.8 points and 2.3 rebounds per game. Tuck mustered 11 points (5-11 FG, 1-2 3P), five rebounds and one assist during the 92-80 loss at Washington on Tuesday. This was Tuck's second outing this season scoring in double figures, as she was able to convert five-of-11 field goal attempts including one three-pointer. Her other double digit performance came on June 16 when she dropped a season-high 20 points on the Mercury. The 24-year-old is currently averaging 4.9 points and 2.1 rebounds off the bench across 14 contests in 2018. Tuck had two points (1-3 FG, 0-1 3Pt), one rebound and one steal during the 82-77 loss at Atlanta on Tuesday. Tuck has been virtually a non-factor offensively throughout the first six games of the 2018 season and Tuesday's outing was no different. Off the bench, the third-year forward is only contributing 3.8 points and 1.8 rebounds per game. Tuck accounted for nine points (3-4 FG, 1-2 3Pt, 2-2 FT), three steals, two rebounds and one assist in the Sun's 110-72 win over the Sky on Friday. Tuck finished with a nice stat-line Friday, reaching the nine-point mark on 75 percent shooting while adding at least one tally in many other statistical categories. The third-year forward is currently averaging 11.5 minutes, 5.3 points and 2.3 rebounds across four games played in 2018. Tuck registered 10 points (3-8 FG, 0-2 3Pt, 4-4 FT), two assists, one steal and one rebound during Tuesday's preseason win over the Wings. Even though the 24-year-old struggled from the floor, Tuck saw the most minutes of any Sun player Tuesday. However, she racked up five total starts in 2017 and did not start Tuesday's preseason match up so it's likely that Tuck will not see enough minutes in the regular season to be a reliable fantasy performer. Tuck is averaging 8.3 points, 3.1 rebounds and 1.0 assists per game heading into this year's All-Star break. While Tuck is seeing more minutes on a per game basis and more resulting production compared to her rookie season, the sophomore is still playing a fairly limited role for the Sun this year due in large part to her dealing with a knee injury for all of June and the start of July. The second-year player out of Connecticut is no doubt improving across the board, as she opened up the season on a very strong note, but she'll now have to work her way back into the Sun's rotation following the injury. Tuck compiled seven points, two rebounds, and two assists during her 16 minutes off the bench in Thursday's loss to the Sparks. Tuck is slowly but surely working her way back to a full complement of minutes after missing 12 games with a knee injury. Before the absence, the forward averaged 28 minutes per game, but has averaged just 11 minutes in her two games since returning. Tuck (knee) played 5:55 in Wednesday's win over Seattle, but did not take a shot. Tuck had missed 12 games due to a knee injury. It looks like she'll be eased back into action. Tuck (knee) has been ruled out for Wednesday's game against the Stars. Tuck will be missing her 11th straight game Wednesday, as she's yet to overcome a lingering knee contusion. 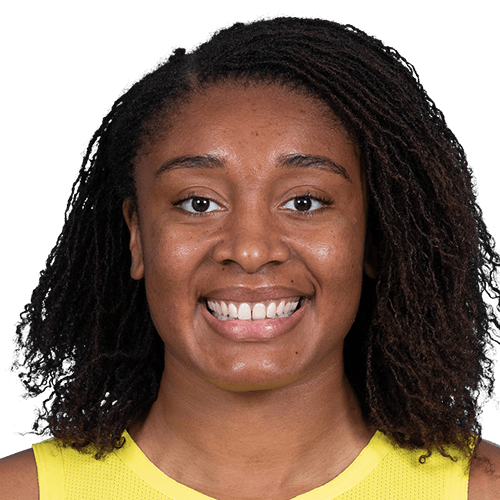 The Sun haven't given her any sort of timetable for a return, so she'll continue to be evaluated on a game-to-game basis, with her next shot to see the floor on Saturday against the Mystics. Tuck (knee) will remain sidelined for Saturday's matchup against the Fever. Tuck will miss her tenth consecutive game with a knee contusion, as she has not played since May 28th. She averaged 11.8 points, 4.2 rebounds, 1.4 assists, and 0.8 steals across 28.1 minutes per game prior to getting injured. Her next opportunity to return to action will be Wednesday against the Stars. Consider her day-to-day going forward.